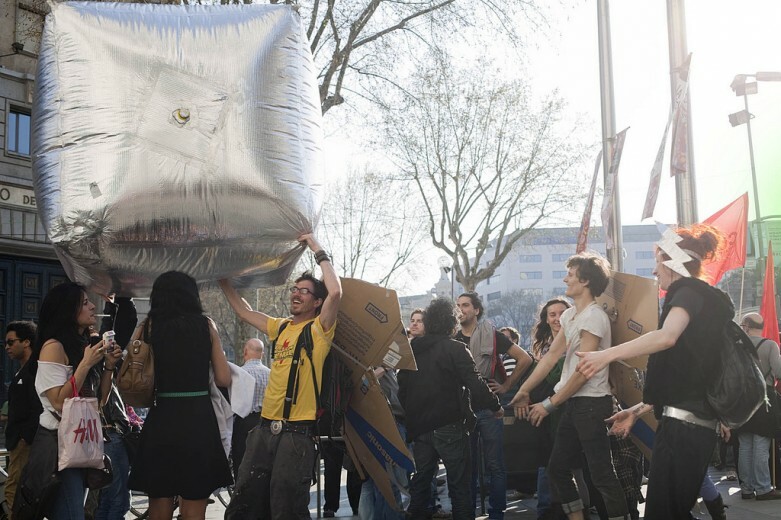 Reflecto-cube is a DIY giant silver inflatable cube that can be used in a demonstration to stop the police charge. This artifact has multiple functions: Transform a grim protest situation into a playful event; De-escalate tension or protect one's own body. Additionally, it reflects the light provoking a momentary loss of vision giving enough time to escape; Inflatables provide strong visual imagery that can capture the media attention creating a spectacle and giving visibility to the protest. 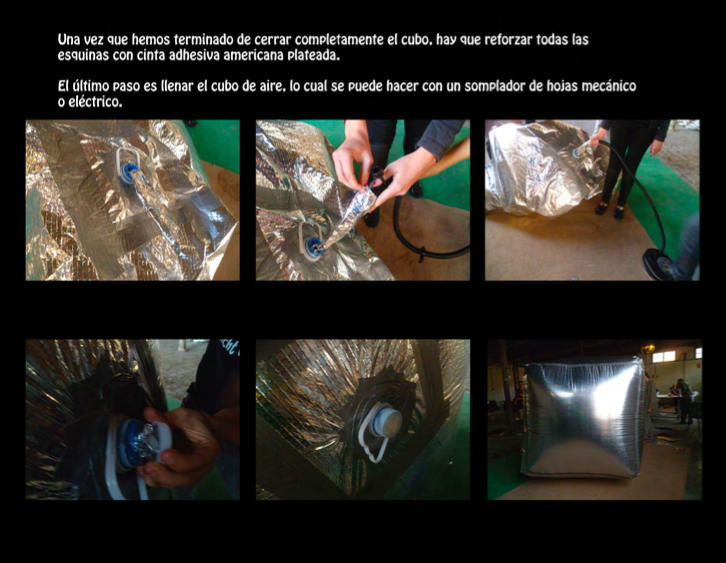 The reflecto-cube was one of the outcomes of the workshops organised in the frame of "Como acabar con el mal" (How to End Evil) – a creative activism conference which revolved around the idea of transmitting creative activism practices. To transform demonstrations into playful participative games. To transform an aggression into a funny surrealist situation. To switch the tension between police and protester with a touch of humor. To safeguard the physical integrity of protesters. To stop police riot charges. 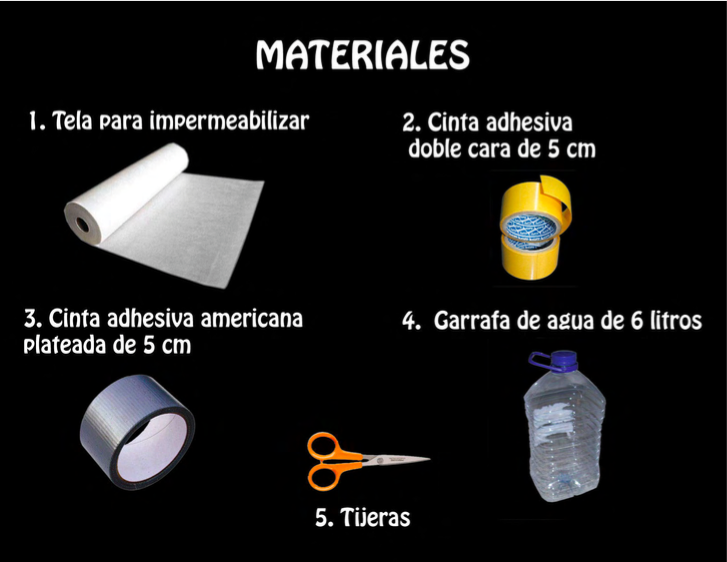 Anyone can download a free DIY manual in pdf. 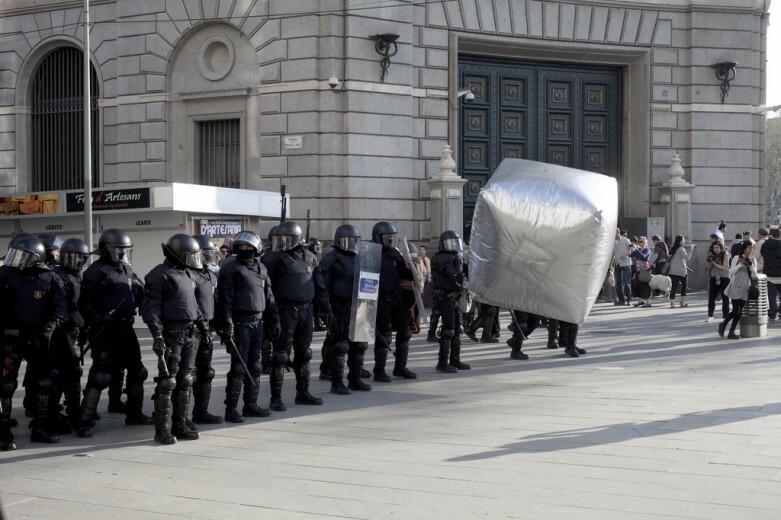 The reflecto-cubes were used effectively in Spain during the General Strike in 2012 and other demonstrations against the austerity cuts. Later, they have been used in Berlin at the First of May Demonstration in 2013 and in different demonstrations throughout EU, always stopping police riot charges and keeping protesters safe. Colectivo Enmedio, Eclectic Electric Collective (Tools for Action), anyone who builds one.